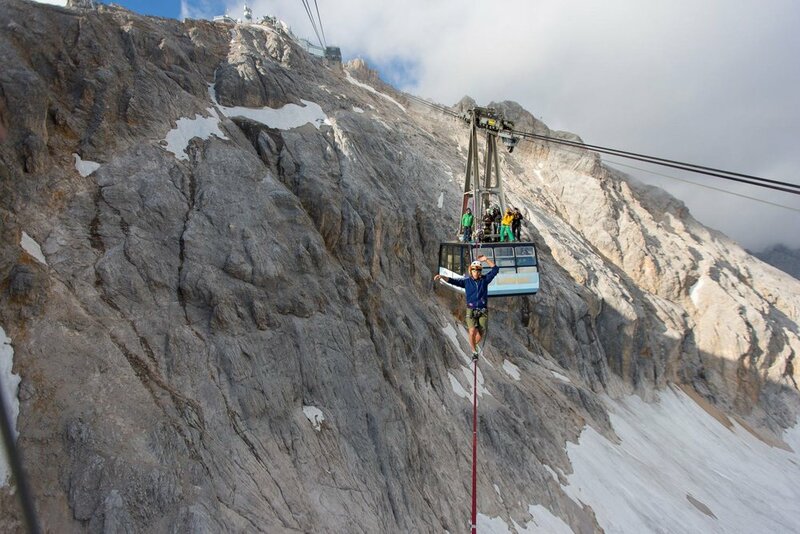 The year before, when we rigged a highline to the peak of the Zugspitze with Germany's best skier, Felix Neureuther, a crazy idea was born: Rigging a line between the cable cars over the glacier. After a year of planning, numerous location checks and hard training the idea finally became reality. 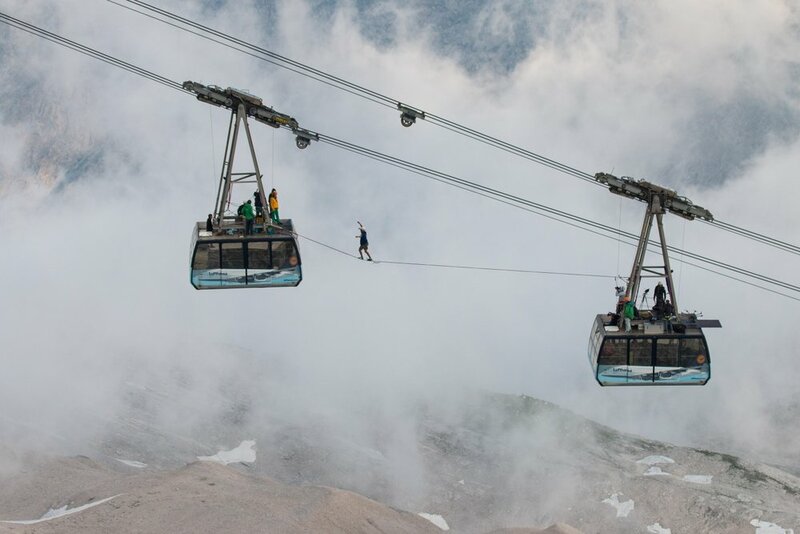 Not an easy task, because the swinging cablecars were far from the usual form of an highline anchor. The exposure on that line between two „levitating“ objects was extreme. 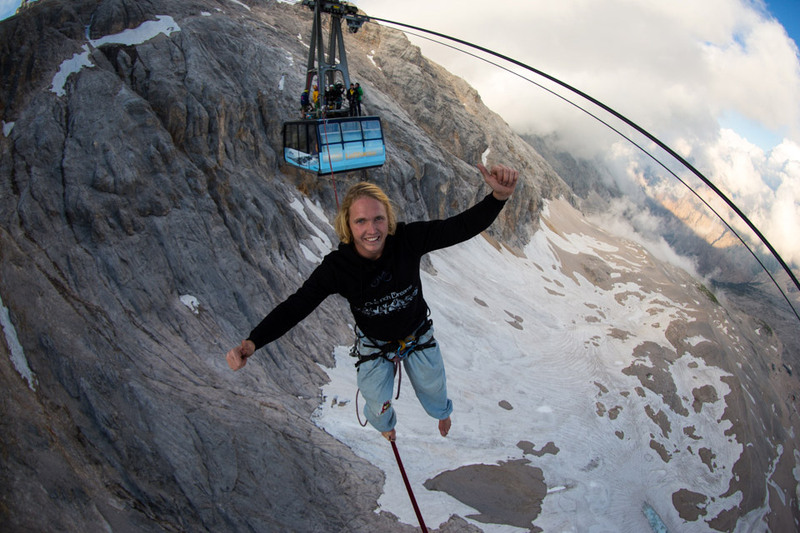 2800 meters over sea level and with more than hundred meters over the glacier there could not be a better place for such an epic slackline. Two german TV stations joined us and reported about our project.